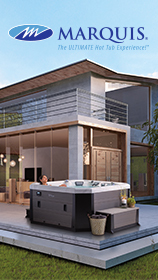 Awarded for our unique modern business strategies, we provide a large selection of hot tubs, including LA Spas hot tubs, Marquis Spas hot tubs, Swim Spas, Endless Pools, Saunas and Accessories in the UK. We pride ourselves on providing you with friendly, helpful and informative advice on all our products. 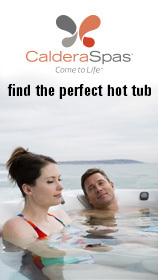 We do not push to sell the most profitable hot tub. We aim to select one that meets all your requirements; considering issues such as your height, family size, massage type and health requirements. Based on the outskirts of Aberystwyth we are ideally situated to provide our services to the majority of Wales. We employ local people and work with local suppliers and are happy to speak Welsh or English with our customers.